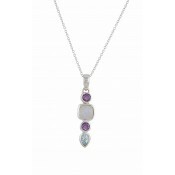 A Beautiful Silver Curly Stem and Amethyst Pendant from The Opal's Amethyst jewellery collection. 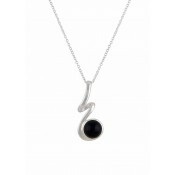 Features a round Amethyst stone nestled in a sterling silver setting with a curly silver stem. 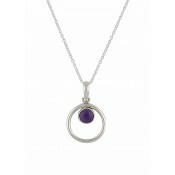 This pendant necklace celebrates the deep purple hues of this beloved gemstone, in a beautiful and versatile accessory that comes with a matching silver chain. 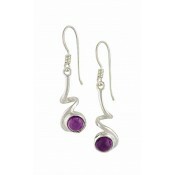 For the perfect look match this stunning pendant with its beautiful curly drop amethyst earrings.